It’s fall. It’s a leaves changing, crisp air breathing, college football kind of fall, and I’m so in love with it. I love warm weather just as much as the next winter-fearing southern transplant, but there’s some naturally ignorant draw to the changing of the seasons that fools my body and mind into thinking that there will be a favorable outcome, or at least a perpetual new reality where life is all hot-chocolate, boots, and pumpkin everything. And listen, if there’s a world like that somewhere, please send me the coordinates. I’ll be there….fully engulfed corduroys, a turtleneck and tall boots – because that’s my jam. This past weekend, despite Saturday being unreasonably hot, was a beautiful first full September weekend in Charlottesville. Football, the downtown mall, long sleeves and my first hot chocolate provided the perfect lead in to what I’m hoping will be a little calmer season than the last. Sunday, outside of just football and the steep break in the weather from Saturday, was the perfect day of balance and organization. 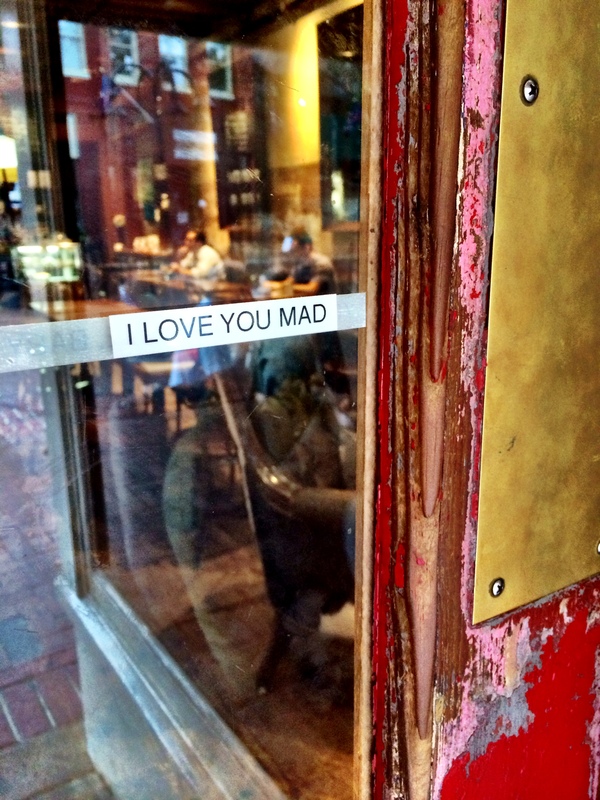 The morning included my favorite Sunday activities – coffee, breakfast, and strolling the downtown mall, and in the process, seeing this sweet little love note on the door of Mudhouse downtown. [MUD + MAD = <3]. Early afternoon kicked off at Citizen’s Burger Bar in tandem with the 1pm NFL kick off, and was followed up by a nap, a trip to HomeGoods and Whole Foods, and then an evening of food prep glory. It was perfect. 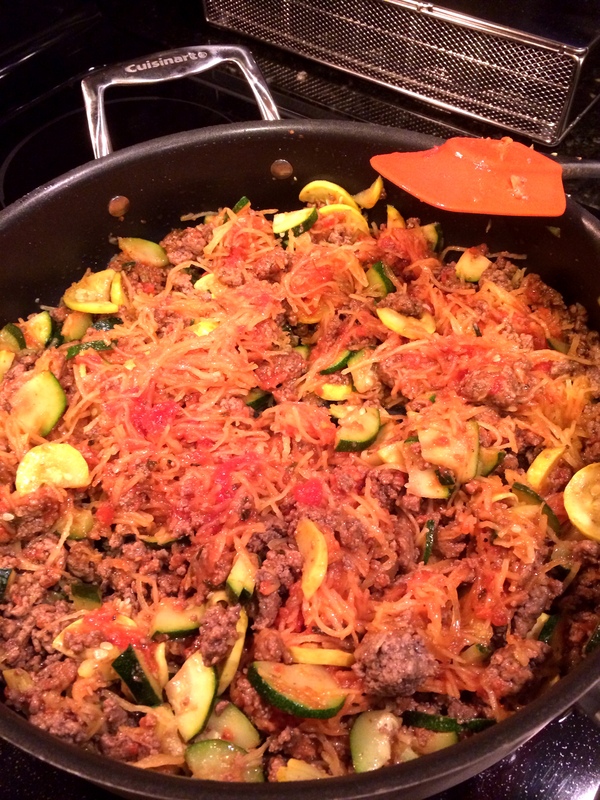 For this week in food, a few things went into production to prevent any meal driven panics, starting my favorite Spaghetti Squash Bolognese. As far as clean eating goes, it’s one of the best cold weather comfort foods you can imagine, and might be even better reheated (so make a LOT and pre-package lunches for the week if you can). 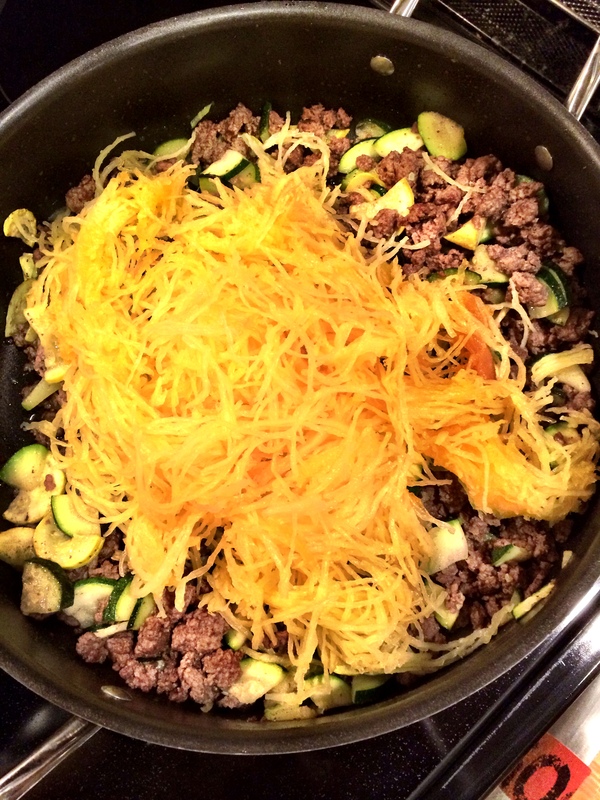 The squash was already roasted, so I took some ground beef from Whole Foods, simmered with squash (zucchini and yellow), and then added in the ‘spaghetti’. The sauce was my favorite (at least favorite store bought), Keswick Gourmet, made locally in Charlottesville. While this was happening on the stovetop, SO much more was happening all around it to make my new favorite pack and go snacks, including chopping, grilling, and even more stove-topping. 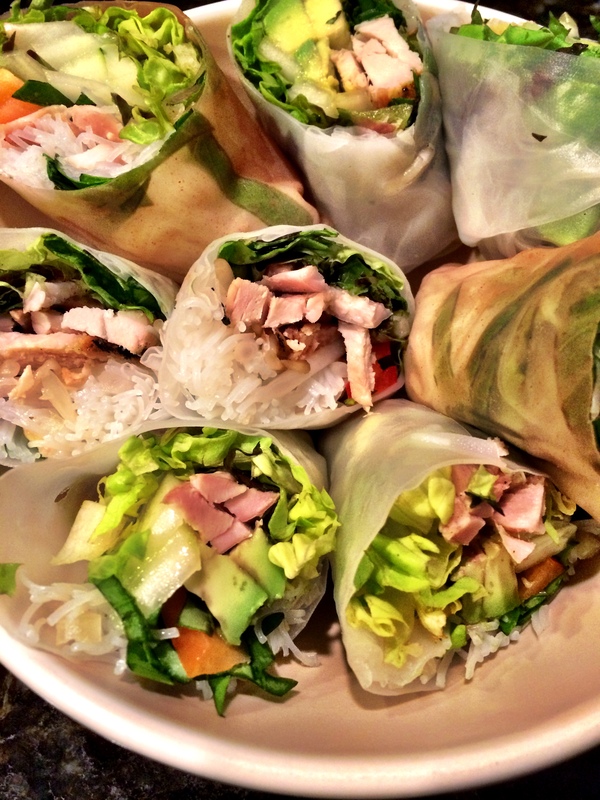 The result: amazing spring rolls. I made a batch of these last weekend in Maine with my Aunt, and immediately got all of the necessary ingredients to bring them back to my everyday life. Stay tuned for the full scope update with recipe options and process. I’m obsessed. 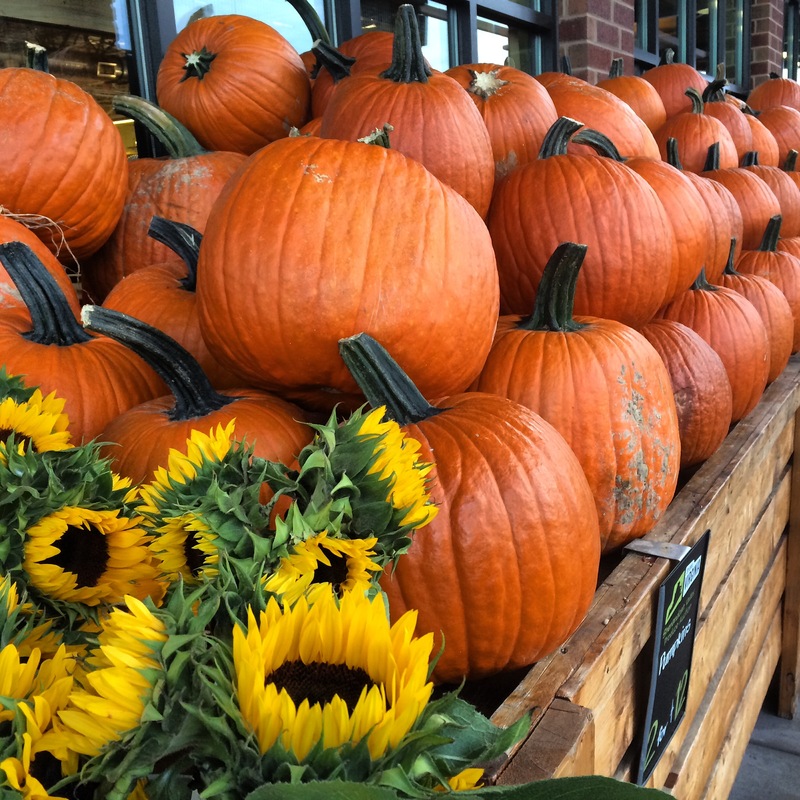 I guess the cliffs notes version of all the above is: welcome fall, you’re beautiful. The rest of the week is promising to be pretty awesome as well with the cool air sticking around, amazing sweats, happy hours, live music, and food throughout.